Habitat GO is celebrating 24 years of bringing communities together to help families build strength, stability and self-reliance through affordable homeownership. Habitat homeowners help build their own homes alongside volunteers and pay an affordable mortgage. 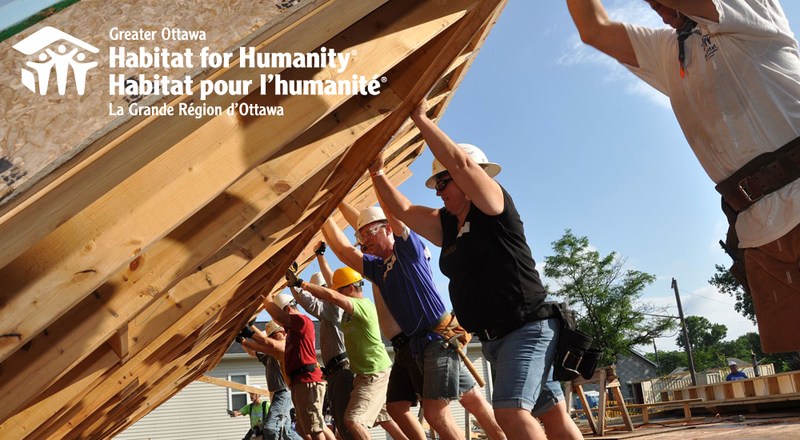 Since 1993, Habitat GO has served 86 families in the Greater Ottawa area. Having received new Brand Standards, Habitat GO knew they needed to make some changes to their website. After responding to a volunteer ad for a website reviewer and meeting with the team, we realized what they really wanted was a complete site rebuild. They felt their current site was difficult to navigate, outdated, and had way too many pages of information that had been added by different staff throughout the years. After reviewing their site and finding close to 100 pages, we knew a content audit was called for. We worked with the Habitat team going through the site page by page to distill the most important parts of their messaging. Once that was complete, we wireframed a site according to the new brand standards for their approval. Then came the fun parts - design and development! The site is currently getting its few final tweaks and will be launched on December 5th! Be sure to check it out!